Personal, provocative, challenging and at times, humorous. 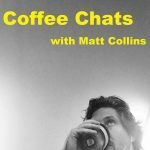 Matt Collins from ‘Coffee Chats’ is a man who apparently dares to go where angels fear to tread. Well worth a listen.